As part of MLP Pilates Program we highly recommend a regular monthly MLP Private Session which will keep your body in-check and allow our instructors to further develop your MLP Program through personal instruction. A Private Session allows time for manual clinical therapy – manipulating muscle release and aiding body alignment – which is not possible in regular group sessions. 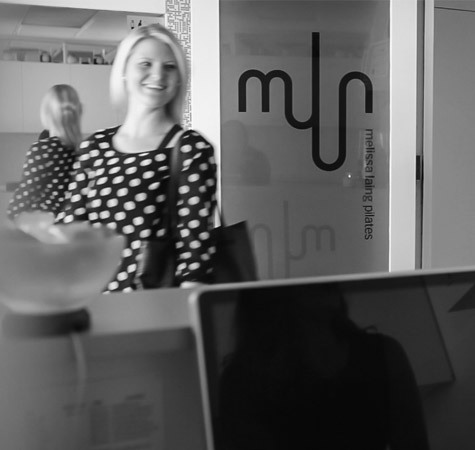 MLP Studio Sessions are designed for the practice of information gained from your MLP One-on-One or MLP Master Session. Whilst they are closely guided sessions – Studio Sessions are comprised of small groups of five to one teacher, or six to one teacher if working with a Master Teacher. If you are looking for a more intimate boutique experience with a Master Teacher with 10+ years expertise this is the session for you. Sessions capped at three. Speak to our Pilates Advisor and find out how to become a member for irresistible savings and great perks that are ever changing. Visit our MEMBERSHIPS page to view what everyone is talking about in the studio. Reward yourself with our “perkville” reward system and earn redeemable points by getting healthy. Our aim is to ensure your time spent with MLP is as enjoyable and beneficial as possible. We welcome client feedback as it will help us continue to grow and improve our service. You will find our most common questions asked as follows. If you do not find the answer you are looking for please get in touch directly and we will be only too happy to help. Please wear comfortable, non-gaping gym clothing as well as grip socks. Towels are provided. No jewellery is to be worn during class. This will help avoid injury associated with equipment usage. We would appreciate mobile phones to be turned off during sessions. No gum. Unless space permits or prior arrangements have been made, clients who arrive late will be expected to finish at their allotted time. Payment is required before the commencement of your session. A standard 24-hour cancellation notice applies, otherwise the full session fee is forfeited. Health rebates: Health fund providers will require a transaction receipt. Refer to your health fund administration for further clarification and entitlement. Cancellation Policy – We understand that life can be hectic and we realise the importance of taking time out for yourself. For this reason, and for the benefit of clients on our waiting list, we have enforced a 24 hour cancellation policy. We want to help you put yourself first and not cancel-out on what is important for you. For your convenience we have permanent times available to create a healthy routine – and not another job you have to get around to.